MUMBAI: State Bank of India (SBI) expects the ‘dirty dozen’ large bad loan cases referred to the bankruptcy courts to be resolved by the end of the current fiscal. 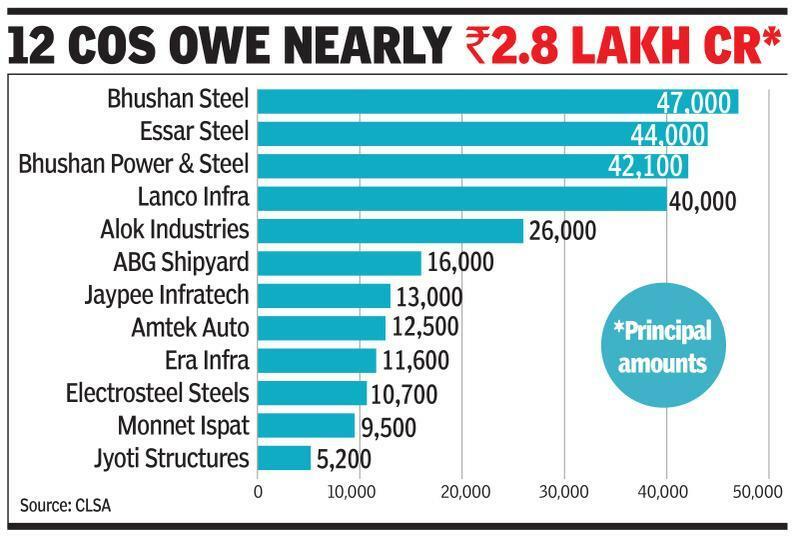 According to managing director Arijit Basu, the bankruptcy process has stabilised with several Supreme Court rulings and there is more clarity in the process. Basu was speaking to TOI on the sidelines of the SBI Green Marathon in Mumbai — an event that the bank holds in each of the 16 cities where it has its local headquarters. “We are doing this because we believe that growth has to be sustainable. Many of our institutes and offices draw power from solar panels and we have discontinued single-use plastics,” said Basu. Another positive, according to SBI, was that although credit growth has picked up for the banking sector, liquidity was not a problem. “We do not see any major challenge on the liquidity front. The banking sector is seeing a pickup on the growth front. While liquidity is not a challenge, there are developments in the external market and there are genuine concerns over trade and oil prices,” said Basu. He added that while yields on government bonds have moderated, these were of late linked to stability in financial markets.